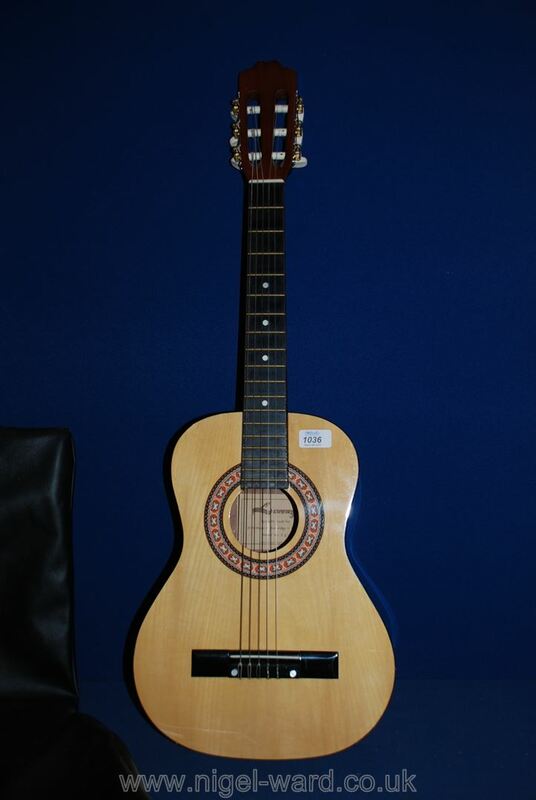 A child&#39;s acoustic Guitar in a soft carrying case; needs a new E (first) string. A child's acoustic Guitar in a soft carrying case; needs a new E (first) string. Lot 1035 A Sapphire Clarinet in a fitted case, with instruction books and folding music stand.